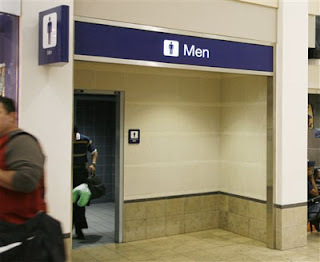 A BRIDE has demanded a divorce from her husband of just one week who left her at an airport after their romantic newlywed jaunt because she took long in the toilet. His solution was simple. Get on the plane without her. The woman in question, a teacher, had gone to use the facilities at the airport before boarding a flight back in Saudi Arabia. Quite how long she stayed in the toilet remains unclear. What is certain is she emerged to discover her husband had vanished without trace. The woman, who had paid for the holiday, began a desperate search of the airport and grew increasingly concerned that something terrible had happened to him. It eventually emerged that he had in fact boarded a plane, according to the Saudi Gazette. When he arrived at his destination, he calmly told relatives his new wife was still in Malaysia. His bride was not so calm about his behaviour. She has demanded an immediate divorce.